Are you searching for a reliable online SMS service provider? Voodoo SMS is one of the UK's most powerful, trusted online SMS services. Our secure platform lets you deliver bulk SMS or individual messages to your target audience of prospects, customers or application users. Whether you need to deliver hundreds of thousands of text messages for a marketing campaign or reach a small, highly targeted audience, our online SMS sending service lets you reach your potential customers using a highly effective, extremely responsive marketing channel. 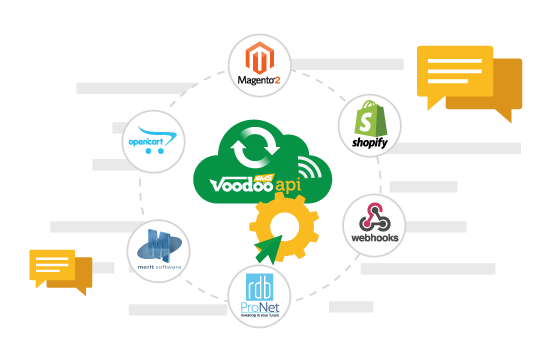 With our user friendly interface, support for dynamic SMS and powerful API, you'll find it easy to achieve positive results with Voodoo SMS. Create your free account now to get started or read on to learn more about our SMS services for businesses and individuals. Voodoo SMS is a powerful online SMS service that lets you send bulk or individual texts from your web browser. Since our platform is 100% online, there's no need for you to download any software or purchase expensive, complicated text messaging equipment. When you write and schedule a text message in Voodoo SMS, our system automatically queues it for delivery at your specified time and date. Your target audience receives the message from a short code number or from your business's existing UK long phone number. Recipients can reply to your text message using your custom promo code or follow up on your campaign online or in-store. You'll receive all responses in your Voodoo SMS account, making it easy to import responsive prospects to a new list for remarketing. Using our online SMS sending service, you can schedule your texts for instant delivery or set a scheduled broadcast date. Our platform also lets you “drip” your messages out over a specific period of time to produce a continual supply of new leads for your sales department. As one of the UK's top SMS service providers, we provide full support for dynamic SMS. This means that you can personalise your outbound messages using custom variables such as a person's name to increase response rates and improve your campaign's ROI. Deliver custom coupon codes, special offers and other variables with ease using our dynamic SMS service. In addition to our web based SMS service, we have a powerful SMS service API that allows you to integrate text message into any application. Our API integrates easily with websites and web based applications, mobile apps, desktop software, e-commerce platforms and CRM tools. We've provided modules for popular eCommerce platforms like Magento and OpenCart, making it easy to deliver SMS notifications from your online shop. Our API also integrates with schedule and appointment software, invoicing systems and other apps that benefit from SMS integration. We're one of the UK's most affordable SMS service providers. With our volume-based pricing, you can pay as little as 1.74p per text message you send. We also have no minimum purchase volume, meaning you can start your campaign with a single text message! Our detailed SMS delivery and response reports mean you're always aware of your campaign's performance. When you send text messages with Voodoo SMS, you'll receive a full report with your SMS sent, delivered, pending, bounced and inbound response rates. As one of the UK's most trusted SMS service providers, we specialise in helping you deliver your message to a large, targeted audience. Create your free account now and start sending marketing texts, notifications and more using Voodoo SMS.